LAND FOR LEASE IN PRIME COMMERCIAL AREA ! $30,000/yr NNN. 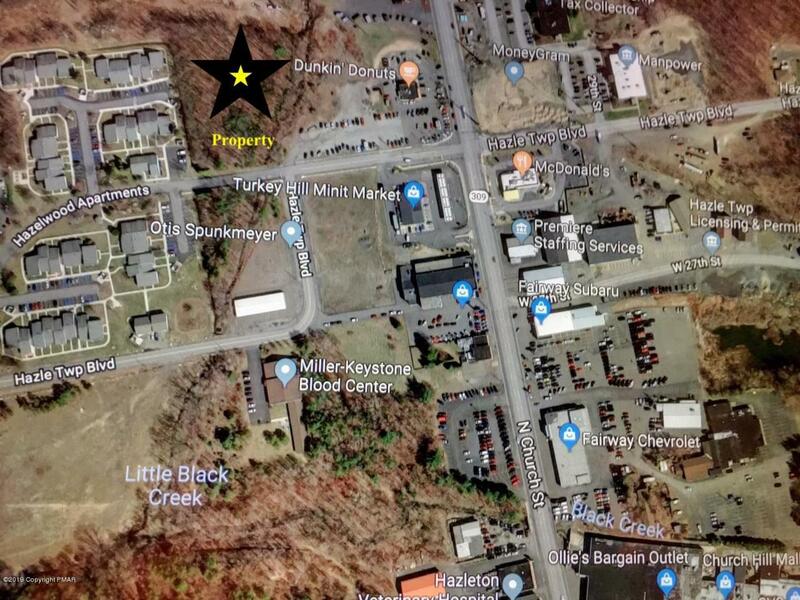 This piece of land is an excellent location for any business looking to build in Hazleton. Right by Route 309, this 1+ acre lot is zoned as B-2 General Commercial. PUBLIC WATER, SEWER, ELECTRIC, GAS are ALL nearby. A few of the surrounding businesses are Turkey Hill, McDonald's and Dunkin' Donuts.